Creating quality content to share with readers and prospective customers is a given when trying to grow a blog or business, but equally important is the way you share that content. It’s not enough to put something out on social media and hope that the masses find their way to it; you have to know how to use social media properly and have a well-orchestrated strategy for dispensing your content. If you don’t, your content will likely fall on deaf ears and you won’t experience the growth you were hoping for by publishing your content in the first place. What your exact strategy ends up being will depend on a number of variables, but there are several steps you must take and several important factors to consider when you develop your content strategy for social media. If this isn’t your first step, it should definitely be towards the top of your list on things to do. You have to know what kind of people you’re trying to reach with your content. What demographics are imperative for you to reach? What demographics will be difficult to reach? Are there any groups that you may have overlooked that you may be able to reach? Once you know your target audience, you will have a better idea of what kind of content to create, how to create it, and how to present it. If you don’t know your audience and know the content you’ll be creating, you’ll have no idea of what to do from a social media standpoint. For starters, go and talk to them. Ask experts their opinion. Send them an email and ask for their expertise. There are a slew of different social media networks, and they all have their advantages and disadvantages. Some are an out-right waste of time. Figure out which one (or ones) will work best for your strategy. You can try joining every social media outlet that exists and seeing what sticks, but that’s not necessarily an effective use of your time. Instead, find one or two (maybe three) that are going to work best for what you’re selling and dedicate your efforts to those channels. This is where knowing your audience ahead of time is mandatory. What social networks does your target audience spend the most time using? 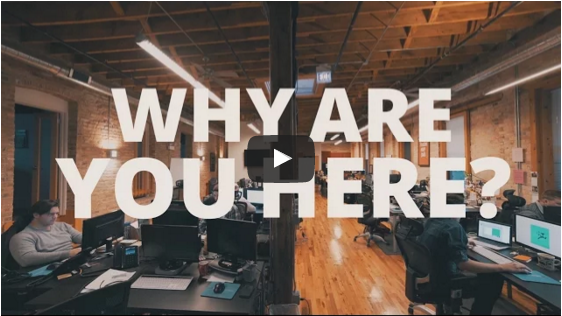 Where will your audience be most receptive to your content? These are the fundamental issues of any social media strategy. This is another nuts and bolts aspect of your strategy, but it should not be overlooked. So much of your success in social media is timing, and you have to know when to post and how frequently to post. Again, part of this will be influenced by knowing your audience. When your audience is expecting content, you need to make sure you deliver content. At the same time, you don’t want to bombard them with material and clog up their timeline, especially if you’re just producing content for the sake of producing content and sacrificing quality. Once you get started and have built up an audience, you may be able to poll your readers to get some feedback on timing and frequency. Until then, try to post as much content as you can, as long as it’s quality content that will get your readers excited and wanting to share it with others. By monitoring the results, you’ll be able to learn more about the idea timing and frequency for your social media campaign. Don’t worry, this isn’t being sneaky or underhanded. In fact, if you’re doing things right, your competition will probably check you out too. The fact of the matter is that it never hurts to check out what you’re up against in order to gain any edge you can. All you have to do is take a close look at the social media pages of a few of your competitors or a few similar companies to try to pick up a few ideas. How frequently do they post? How do they engage with their customers? What is their tone? How do they mix in their content amongst everything else they do on social media? Learning what your competitors are doing can give you great insight into what your strategy should be. Even after you’ve built your strategy, you should continue to check up on your competition to see how they’re adapting and see if there are any adjustments you can stand to make. There’s no point in having a plan if you don’t have goals that you’re always striving to meet. So create a list of concrete objectives for your social media endeavors and keep them in mind when developing your strategy. Are you seeking a certain number of followers? 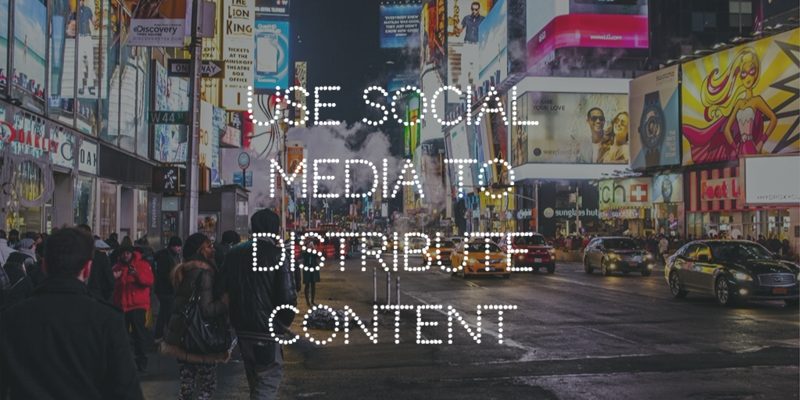 Do you need to generate a certain amount of traffic for your content? Are you seeking engagement from your readers? Determine what it is exactly that you need out of your social media department and keep it in mind when developing a strategy; don’t lose sight of your purpose. After all, your social media strategy needs to benefit your brand as a whole, so have a goal to reach that you believe will take your brand to the next level. I used to work in SEO. In many ways, Content Marketing has replaced my obsession with search engine optimization. It is my new SEO. I still use the techniques I learned as an SEO to make my content search-engine friendly, but my focus is less on writing for crawlers and more on writing for readers of the human variety. When researching google’s algorithmic changes over time, I had an idea. 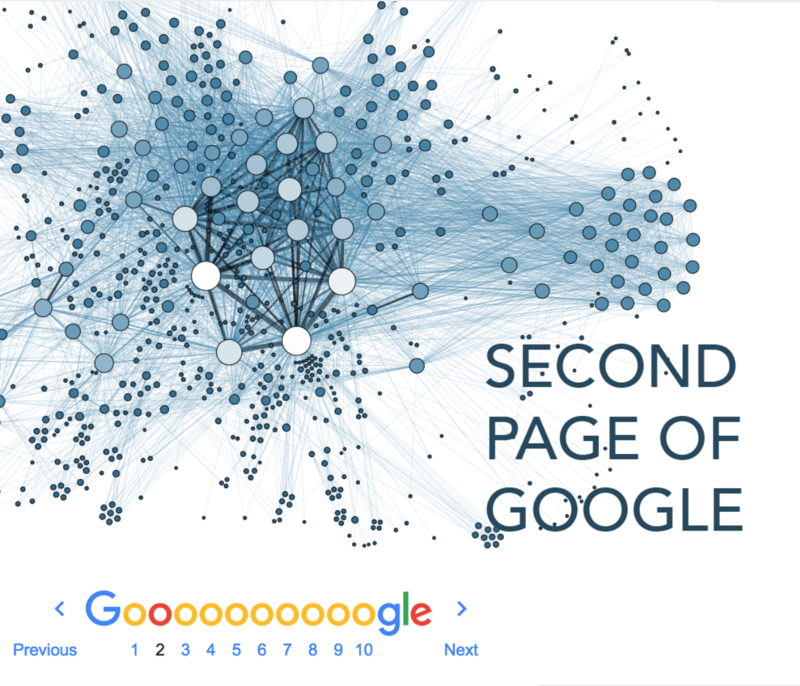 What if everyone suddenly starting going to the second page of Google after their search? Convincing users to give up their quality Google searches wouldn’t be an easy task. 33% of searches don’t even click on the second result, let alone the second page, but the experiment would be eye-opening. TL;DR – If Google is A/B testing SERP, going to the second page of Google could change the first page results.